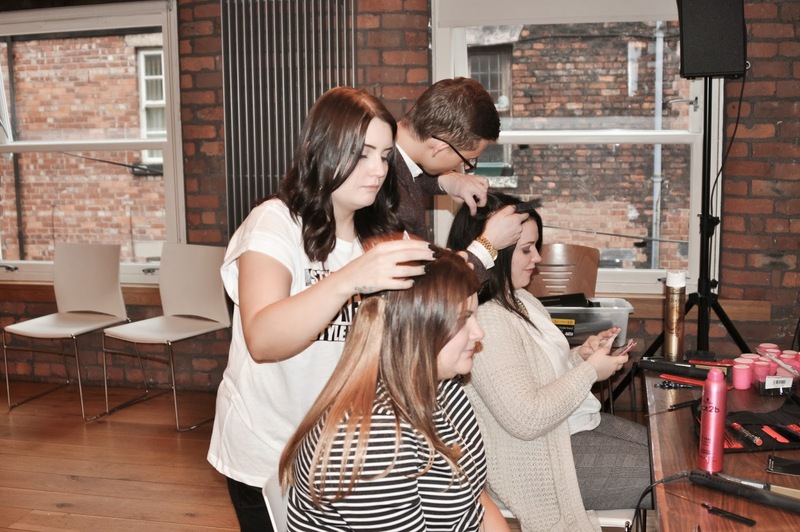 I was recently contacted by the lovely Aimee over at Halo Hair Extensions to attend a Blogger event one quiet Sunday. As someone who loves big hair but struggles with hair extensions, I was intrigued as to how the Halo would work for me and I am literally hooked. 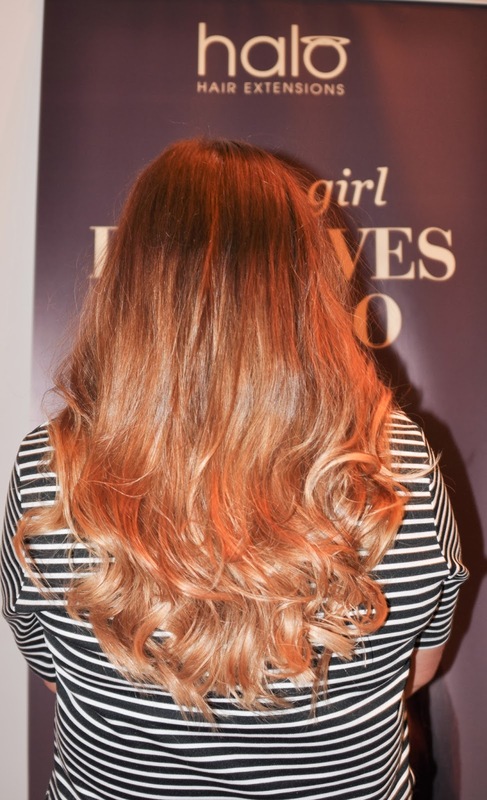 My normal issue with hair extensions is that I really like to give my hair a good wash.. so whilst I love the effect of a weave, I find it far too high maintenance. Clip ins seemed like a good alternative, but I don't like the constant fear of one of the clips sliding through my hair and having a 'hold on to your hair' type moment! So I had come to the conclusion that I couldn't have extensions and achieve the full haired look like the Kardashians! I have been proved wrong! The event was held at the Cornerhouse in Manchester (amazing venue by the way!) and we were given an overview of Halo, by their MD. We were spoiled with Macaroons and the most amazing Salted Caramel Chocolate Cake, Fizz, Manicures and Massages, before having our Halos styled. As I have ombre hair, I wasn't sure how we would match it up, but I am now the proud owner of a blonde halo to match the lightest parts at the bottom! The Halo is a strip of hair wefts attached to a clear wire. The wire is slipped over your head (like the first pic) and then you put your own hair over the top of it. It feels very secure and I am pleased to report it has passed two windy evening outings with no embarrassing moments! I wear mine for thickness rather than length and I absolutely love it. I have worn it many times since getting it and honestly it is one of my favourite things from February. They are fool proof to put in and because they are human hair you can style it as though it is your own. The event was probably one of the nicest blogger events I have ever been to in all honesty. Numbers were kept relatively small and there were a good few familiar faces that I could catch up with, and I genuinely felt as though Halo really were interested in hearing our thoughts and feedback. They truly have an excellent product and are obviously happy to invest in spreading their message using normal girls rather than celebrities. Big smiles and huge thumbs up from me!